"Budokan" redirects here. For other uses, see Budokan (disambiguation). Nippon Budokan (日本武道館, Nippon Budōkan), often shortened to simply Budokan, is an indoor arena located in Chiyoda, Tokyo, Japan. Budokan was originally built for the judo competition in the 1964 Summer Olympics, hence its name, which translates in English as Martial Arts Hall. Its primary purpose is to host martial arts contests and for a time was a popular venue for Japanese professional wrestling. It has hosted numerous other sporting events such as the 1967 Women's Volleyball World Championship and other events such as musical concerts. A number of famous rock music acts have played at Budokan. 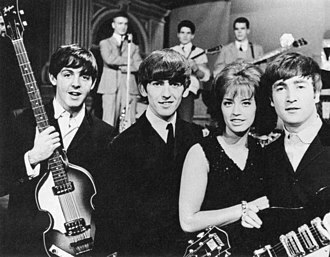 The Beatles were the first rock group to play there, in a series of concerts held between June 30 and July 2, 1966. 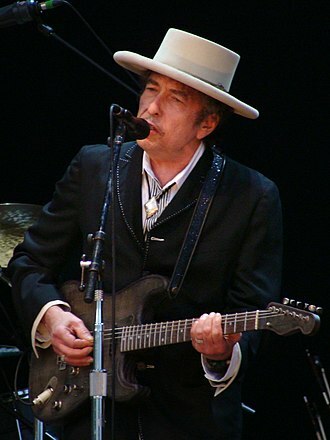 Several live albums were recorded at Budokan, including releases by Bryan Adams, Bob Dylan, Eric Clapton, Cheap Trick, Dream Theater, John Hiatt, Kiss, Mr. Big, Ozzy Osbourne, and Journey. The Nippon Budokan is located in Kitanomaru Park in the center of Tokyo, two minutes' walking distance from Kudanshita Subway Station, and near the Imperial Palace and Yasukuni Shrine. The 42 m (140 ft) high octagonal structure holds 14,471 people (arena seats: 2,946, 1st floor seats: 3,199, 2nd floor seats: 7,846, standee: 480). The building is modeled after Yumedono (Hall of Dreams) in Hōryū-ji in Nara. Although it also functions as a venue for big musical events, its primary purpose is for Japanese martial arts. The national championships of the different branches of the martial arts (judo, kendo, karate, aikido, etc.) are held annually at the Budokan. The Budokan has also been associated with professional wrestling's big shows, typically from All Japan Pro Wrestling and Pro Wrestling Noah. However, due to declining business following the death of Mitsuharu Misawa and the retirement of Kenta Kobashi, professional wrestling has ceased running regular shows in the Budokan. During Wrestle Kingdom 12, New Japan Pro Wrestling announced that its yearly G1 Climax tournament's finals would be held at the Budokan. The Muhammad Ali vs. Antonio Inoki hybrid rules fight held at the Budokan in 1976 is seen as a forerunner to mixed martial arts. 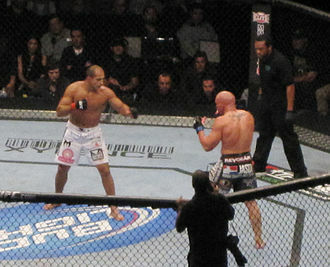 K-1, Shooto and Pride Fighting Championships have all held events at the arena. The Beatles were the first rock group to perform at Budokan in a series of five shows held between June 30 and July 2, 1966. Their appearances were met with opposition from those who felt the appearance of a western pop group would defile the martial arts arena. In July 1973 Japanese television recorded the Santana performance at Budokan. 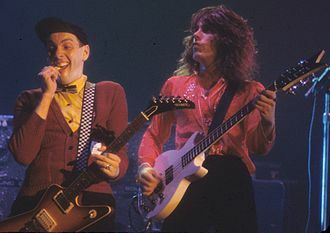 The Budokan gained worldwide fame when American artists Cheap Trick and Bob Dylan used the arena to record their performances, Cheap Trick at Budokan (1978) and Bob Dylan at Budokan (1979). In explaining the popularity of the venue for live albums, Eric Clapton described the Tokyo audience as "almost overappreciative" in interviews promoting Just One Night (1980), his own live album recorded at the Budokan. The record for the most Budokan music concerts is held by Eikichi Yazawa, 142 times as of December 19, 2017. Led Zeppelin; September 23 and 24, 1971 and October 2 and 3, 1972. Deep Purple; 1972; for the last of the three concerts making up their Made in Japan live album. Queen; 1975, 1976, and 1979. Rainbow; December 16, 1976; On Stage Rainbow performed here both afternoon and evening shows at 3:00pm and 6:00 p.m.
Aerosmith; 1977 (Jan-Feb); see the Japanese record "Rocks Budokan" label Calm&Storm. Bay City Rollers; 1977; Rollerworld, Live at the Budokan 1977, released as Rollerworld: Live at the Budokan 1977 in 2001. Ian Gillan Band; 1977–1978; Live at the Budokan (Vols. 1-2). Eric Clapton; December 1979; Just One Night. Diana Ross; 1977; "An Evening with Diana Ross" concert was videotaped during her 1977 tour. Eikichi Yazawa; 1977; Super Live Nippon Budokan, recorded his Budokan concerts of 1977. 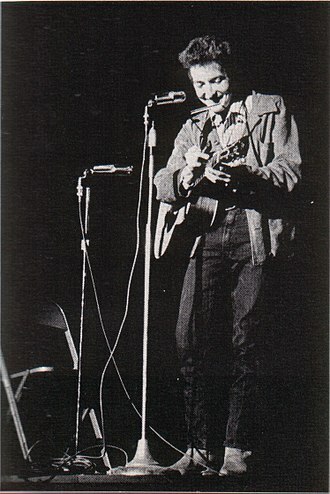 Bob Dylan; 1979; Bob Dylan at Budokan, recorded during his 1978 world tour. Sadao Watanabe; 1980; How's Everything. Yellow Magic Orchestra; 1980; Live At Budokan 1980, recorded 1980, released 1993. The Police; 1981; Budokan Radio On, released 1988. Quincy Jones; 1981; Quincy Jones Live at the Budokan. Toto; 1982; Live at Budokan 1982, Toto IV Tour. Dave Grusin; 1983; Dave Grusin and the NY-LA Dream Band. Michael Schenker Group; 1982; One Night at Budokan. Asia; 1983; Live at Budokan, Asia in Asia. Iron Maiden; 1987, "Somewhere on tour"
Dead or Alive; 1987　"Rip It Up"
Tin Machine; 1992; who recorded a portion of Tin Machine Live: Oy Vey, Baby, during the It's My Life Tour. Skid Row (American band) Skid Row - Live at Budokan, Tokyo 1992. Diana Ross, Tokyo 1992; " The Force Behind The Power World Tour "
Doobie Brothers; 1993; Live at Budokan. Yngwie Malmsteen; 1994; video Live at Budokan 94, VHS/DVD. Blur; 1995-6; recorded a live compilation CD, Live at the Budokan, in 1995, at the height of Britpop; it was released in 1996. Chic; 1996; performance later released as Live at the Budōkan (1999). This was bassist Bernard Edwards's last performance; he died the next day. Diana Ross; 1996; " Take Me Higher World Tour "
Prince; 1996 Prince performed 4 concerts during the year as the Artist formerly known as Prince. Mr. Big; 1997; recorded Live at Budokan in 1997 (and Back to Budokan in 2009). Oasis; 1998; Oasis performed 3 nights in a row during their Be Here Now tour. Puffy; 1998; Recorded Jet Tour '98 in support of the album Jet-CD. Malice Mizer; 1998; 2-night stint at the Budokan in support of Merveilles, which yielded their live video Merveilles ~Shuuen to Kisuu~ L'Espace. Journey; 1998; Recorded several songs from their Frontiers Tour in 1983 at the Budokan which was included on their live album Greatest Hits Live. Faye Wong; 1999; "Budokan Live" (for further information see: Faye Wong#1999: Venturing into Japan). 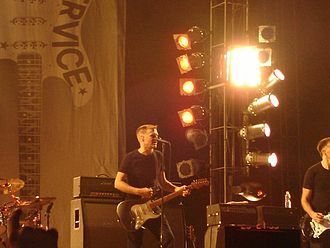 Bryan Adams; 2000; Live at the Budokan. Malice Mizer; 2-night stint at the Budokan in support of Bara no Seidou, which yielded their live video Bara ni Irodorareta Akui to Higeki no Makuake. Bay City Rollers; 2001; Rollerworld, Live at the Budokan 1977, released as Rollerworld: Live at the Budokan 1977 in 2001. Ozzy Osbourne; 2002; filmed CD/DVD combination Live at Budokan. Pearl Jam; 2003; recorded an official bootleg at Budokan during their Riot Act Tour (for further information see: Pearl Jam#Riot Act: 2002–2005). Mariah Carey; 2003; performed 3 concert shows, part of her Charmbracelet World Tour on July 6, 8 and 10. Dream Theater; 2004; 2DVD/3CD Live at Budokan. Hikaru Utada; July 28, 2004; video Utada Hikaru in Budokan 2004: Hikaru no 5. Judas Priest; 2005; DVD Rising in the East. Nana Mizuki; 2005; DVD Nana Mizuki Live Rainbow at Budokan. Avril Lavigne; 2005; DVD Live at Budokan: Bonez Tour, Bonez Tour. Nana Mizuki; 2006; DVD Nana Mizuki Livedom -Birth- at Budokan. The Gazette; 2006; DVD Standing Live Tour 2006 [Nameless Liberty. Six Guns...] Tour Final at Nippon Budokan. TM Network; 2007; video TM Network -Remaster- at Nippon Budokan 2007. TVXQ; 2007; Tohoshinki 2nd Live Tour 2007: Five in the Black. Joe Hisaishi; 2008; Joe Hisaishi in Budokan – 25 years with the Animations of Hayao Miyazaki. Chatmonchy; 2008; [Restaurant Main Dish] Live at : Budokan 2008. Nana Mizuki; 2009; Blu-ray/DVD Nana Mizuki Live Diamond x Fever. Mr. Big; 2009; live CD/DVD Back to Budokan. Dir En Grey; 2009; live DVD Uroboros: With the Proof in the Name of Living... At Nippon Budokan. The Pillows; 2009; live DVD Lostman Go to Budokan. Backstreet Boys; February 18, 2010; recorded live DVD Backstreet Boys: This Is Us Japan Tour 2010 on the This Is Us Tour. Nico Touches the Walls; March 12, 2010; "Walls is Auroras" LIVE. One Ok Rock; 2010; live DVD This Is My Budokan?!. Morning Musume; 2011; Ai Takahashi's graduation concert "Ai Believe ~Takahashi Ai Graduation Memory Special~. F.T. Island; 2011; Live In Budokan Summer Mesengger Tour. Lee Seung-gi; 2012; First Japan Live in Budokan Kidou (Hope). U-KISS; 2012; live DVD U-KISS Live In Budokan. Morning Musume; 2012; Risa Niigaki and Aika Mitsui's graduation concert Ultra Smart. Acid Black Cherry; 2012; "Live DVD Acid Black Cherry Tour 『2012』". Morning Musume; 2013; Reina Tanaka's graduation concert, Michishige☆Eleven Soul. °C-ute; 2013; Queen of J-Pop ~Tadoritsuita Onna Senshi~. AKB48; 2013; AKB48 Group Rinji Soukai "Shirokuro tsukeyou janai ka!" T-ara; 2013; T-ara Japan Tour 2013: Treasure Box. Kalafina; February 28, 2015; Kalafina Live Best 2015 "Red Day". March 1, 2015; Kalafina Live Best 2015 "Blue Day"
Morning Musume; May 27, 2015; ~Gradation~. Hatsune Miku; September 4–5, 2015; Magical Mirai. Morning Musume; December 7–8, 2015; ~Prism~. Dish; January 1–2, 2016; 4 Monkey Magic. Wagakki Band; January 6, 2016; Dai Shinnenkai 2016 Nippon Budokan -Akatsuki no Utage-. Aimer; August 29, 2017; Live in Budokan "blanc et noir"
Milky Holmes; January 28, 2019; Milky Holmes Final Live Q.E.D. American crossover thrash band Stormtroopers of Death released a live album titled Live at Budokan (1992), though the title was in jest and the album was recorded at famed New York City venue The Ritz. The original Beatles concert is heavily bootlegged on audio and video; the first night's concert video was officially released by Apple in Japan only as Beatles Concert at Budokan 1966, and excerpts are shown in The Beatles Anthology, while the second Anthology album included the first show's performances of "Rock and Roll Music" and "She's A Woman". 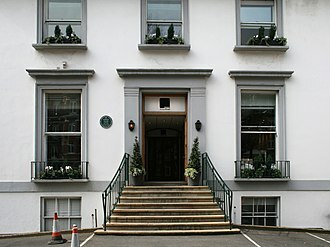 The venue is one of the stages in The Beatles: Rock Band video game. Chatmonchy currently holds the record for the largest crowd at Budokan. South Korean Girl group T-ara was the first Korean female artist to perform in Nippon Budokan in 2012 and the only Korean female artist to perform there twice in 2013. South Korean Girl group Blackpink became the second Korean female artist to perform in Nippon Budokan after T-ara in 2017. The National Memorial Service for War Dead is held with the attendance of the Prime Minister, the Emperor and the Empress annually in Budokan on August 15, the day of Japan's surrender. A concert was held in honor of Studio Ghibli's 25th anniversary at the Budokan, hosted by Joe Hisaishi. It included repertoire from most of the films Hisaishi composed for Hayao Miyazaki's Studio Ghibli filmography. Diana Ross performed and taped her "Here and Now" television special in 1991 to a sold-out audience. 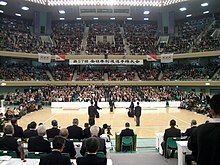 The Japan Record Awards took place in the arena from 1985 to 1993 where all of the artists from around the country receive these awards. Muhammad Ali won a unanimous decision over Mac Foster in their 1972 heavyweight boxing match. On August 27, 2011, Japan's three biggest professional wrestling promotions; All Japan Pro Wrestling, New Japan Pro Wrestling and Pro Wrestling Noah came together to produce a charity event titled All Together at the arena. On August 10, 11 and 12, 2018 New Japan Pro Wrestling will have the final 3 days of the G1 Climax in Budokan and that will mark the first time in 15 years New Japan has promoted an event there. Professional wrestler and legend in Japan Kenta Kobashi wrestled his final match in Budokan on May 11, 2013, at an event titled Final Burning in Budokan. Kobashi is synonymous with the arena along with fellow wrestlers Toshiaki Kawada and the late Mitsuharu Misawa. In November, the Budokan is a 2 day-venue for the annual Japan Self-Defense Forces Marching Festival, a yearly tradition and the nation's military tattoo first held here in the fall of 1963. Aside from JSDF bands, foreign armed forces military bands are also invited to join the event. A fictional concert hall based on Nippon Budokan appeared in the music video game Guitar Hero III: Legends of Rock under the name "Kaiju Megadome." The Beatles' appearance at Nippon Budokan was featured in The Beatles: Rock Band. Another fictional hall based on the Nippon Budokan appeared in the Japanese pro-wrestling video game Virtual Pro Wrestling 2: Ōdō Keishō. ^ 日本武道館建物概要（アリーナ面積・座席表） (in Japanese). Nippon Budoukan. Retrieved July 4, 2014. ^ Swanson, Dave. "50 Years Ago: The Beatles Headline in Japan". Ultimate Classic Rock. Retrieved November 26, 2017. ^ "Japan keeps Lennon's memory alive". BBC News. December 8, 2008. Retrieved April 7, 2010. ^ 矢沢永吉、今年もヨロシク武道館　止まらない最多更新１４２回へ (in Japanese). Sponichi Annex. Retrieved July 7, 2017. ^ "Janet Jackson The Velvet Rope Tour (1998-1999)". Jackson Source. January 1, 2010. Retrieved February 10, 2019. ^ "Duran Duran Music". Duran Duran Music. Retrieved November 13, 2015. ^ "Duran Duran DURAN DURAN TIMELINE". Duran Duran. Retrieved November 13, 2015. ^ "Lee Seung-gi Mesmerizes Fans in Japan's Budokan". HanCinema. Retrieved November 13, 2015. ^ 制作者. "2019年1月1日、日本武道館でのライブが決定！ | 内田真礼オフィシャルサイト". 2019年1月1日、日本武道館でのライブが決定！ | 内田真礼オフィシャルサイト (in Japanese). Retrieved 2018-11-02. ^ "内田真礼 Official STAFF on Twitter". Twitter. Retrieved 2018-11-24. ^ "キャストライブ『あんさんぶるスターズ！Starry Stage 2nd 〜in 日本武道館〜』｜スタステ2nd特設サイト". キャストライブ『あんさんぶるスターズ！Starry Stage 2nd 〜in 日本武道館〜』｜スタステ2nd特設サイト (in Japanese). Retrieved 2019-02-25. ^ "Janet Jackson State of the World Tour 2019". Creativeman Productions. December 21, 2018. Retrieved February 10, 2019. ^ Unterberger, Richie (2006). The Unreleased Beatles: Music & Film. Hal Leonard Corporation. pp. 321–322. ISBN 978-0-87930-892-6. ^ The Beatles Rock Band: If I Needed Someone- Sight Read (100% FC Gold Stars). YouTube. September 5, 2009. Retrieved November 13, 2015. ^ "DVIDS - News - III MEF Band impresses at Budokan". DVIDS. Retrieved November 13, 2015. Wikimedia Commons has media related to Nippon Budokan. 1964 Summer Olympics official report. Volume 1. Part 1. pp. 128–30. Mr. Big is an American hard rock supergroup, formed in Los Angeles, California, in 1988. The band is a composed of Eric Martin, Paul Gilbert, Billy Sheehan, and Pat Torpey, The band is noted especially for their musicianship. 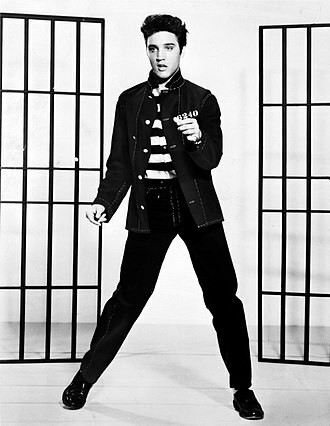 Their songs were marked by strong vocals and vocal harmonies. Their hits include To Be with You and Just Take My Heart, Mr. Big have remained active and popular for over two decades, despite internal conflicts and changing music trends. They broke up in 2002, but after requests from fans, they reunited in 2009, their first tour was in Japan, to date, Mr. Big has released eight studio albums, the latest being. The Stories We Could Tell. 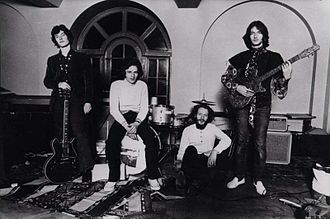 The band takes its name from the song by Free, which was covered by the band on their 1993 album. He recruited Eric Martin, of the rock-oriented Eric Martin Band and soul-leaning solo artist, Gilbert was already a well-respected guitarist who had released two albums with his Los Angeles-based band Racer X. The newly formed band hired Herbie Herbert, the manager of Journey, Europe. By 1989, they signed with Atlantic Records and released their debut the same year. The record did not gain the band a mainstream rock audience stateside, in June 1990, the group toured in America opening for Rush. In August 1990, two songs, Strike Like Lightning and Shadows, performed by Mr. Big were exclusively released on the album of the action film Navy SEALs. Mr. Bigs second album, 1991s Lean Into It, was a commercial breakthrough. The cover features a picture of the train in the Montparnasse derailment and they toured the UK in April and May 1991 and again in 1992, releasing a live album, Mr. Big Live, in 1992. For three nights, they opened for Aerosmith at Londons Wembley Arena, in 1993, another ballad, a cover of Cat Stevens Wild World, peaked at No.27 on the Billboard Hot 100. 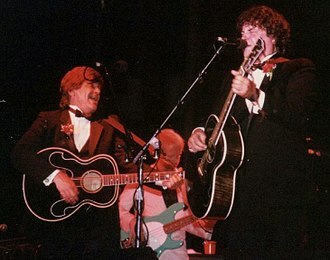 Although it is said that the band contributed the soundtrack to the Sega Mega-CD release of The Amazing Spider-Man vs. The Kingpin, the songs actually featured Eric Martin with musicians hired by Sega and they released Hey Man in 1996. The 1964 Summer Olympics, officially known as the Games of the XVIII Olympiad, was an international multi-sport event held in Tokyo, from October 10 to 24,1964. The 1964 Summer Games were the first Olympics held in Asia, Tokyo was chosen as the host city during the 55th IOC Session in West Germany, on May 26,1959. These games were the first to be telecast internationally without the need for tapes to be overseas, as they had been for the 1960 Olympics four years earlier. The games were telecast to the United States using Syncom 3, the first geostationary communication satellite and these were the first Olympic Games to have color telecasts, albeit partially. Certain events like the sumo wrestling and judo matches, sports huge in Japan, were tried out using Toshibas new color transmission system, history surrounding the 1964 Olympics was chronicled in the 1965 documentary film Tokyo Olympiad, directed by Kon Ichikawa. The games were scheduled for mid-October to avoid the citys midsummer heat and humidity, the previous Olympics in Rome in 1960 started in late August and experienced hot weather. The following games in 1968 in Mexico City began in October, the 1964 Olympics were the last to use a traditional cinder track for the track events. A smooth synthetic all-weather track was used for the first time at the 1968 Olympics, the 2020 Summer Olympics will be held in Tokyo. Tokyo won the rights to the Games on May 26,1959, at the 55th IOC Session in Munich, West Germany, over bids from Detroit and Vienna. Toronto was an early bidder again in 1964 after the attempt for 1960. Yūji Koseki composed the song of the opening ceremony. Yoshinori Sakai, who lit the Olympic Flame, was born in Hiroshima on August 6,1945, kumi-daiko was first exhibited to a world-wide audience at the Festival of Arts presentation. Judo and womens volleyball, both sports in Japan, were introduced to the Olympics. Japan won gold medals in three events, but Dutchman Anton Geesink won the Open category. The Japanese womens volleyball won the gold medal, with the final being broadcast live. The womens pentathlon was introduced to the athletics events, soviet gymnast Larisa Latynina won two gold medals, a silver medal and two bronze medals. Chiyoda is a special ward located in central Tokyo, Japan. In English, it is called Chiyoda City, Chiyoda consists of the Imperial Palace and a surrounding radius of about a kilometer. As of May 2015, the ward has an population of 54,462. The total area is 11.66 km², of which the Imperial Palace, Hibiya Park, National Museum of Modern Art, often called the political center of the country, literally meaning field of a thousand generations, inherited the name from the Chiyoda Castle. Akihabara, a known for being an otaku cultural center. The Chiyoda ward was created on March 15,1947 by the unification of Kanda Ward and it has been a site of a number of historical events. 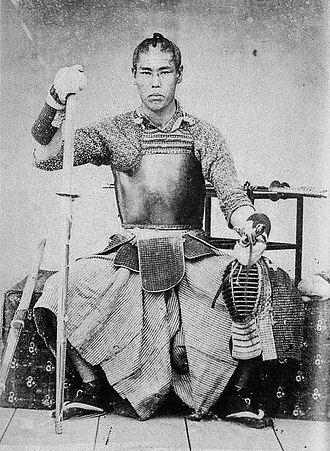 In 1860, the assassination of Ii Naosuke took place outside the Sakurada Gate of the Imperial Palace, in 1932, assassins attacked and killed prime minister Inukai Tsuyoshi. In 1936, an attempted coup détat, the February 26 Incident, in 1960, Socialist Party leader Inejirō Asanuma was assassinated in Hibiya Hall. In 1995, members of Aum Shinrikyo carried out the Sarin gas attack on the Tokyo subway, Chiyoda is located at the very heart of former Tokyo City in eastern mainland Tokyo. The central area of the ward is occupied by the Imperial Palace. The east side of the ward, bordering Chūō, is the location of Tokyo Station, the south side, bordering Minato, encompasses Hibiya Park and the National Diet Building. 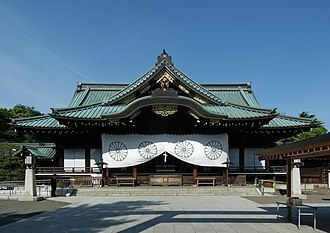 It is almost exclusively occupied by administrations and agencies, the west and northwest are primarily upper class residential, the Yasukuni Shrine is there. To the north and northeast are several neighborhoods and the Akihabara commercial district. 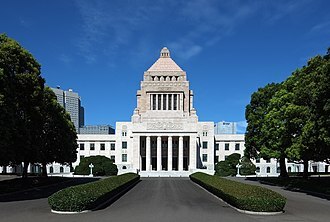 Chiyoda is run by an elected mayor and a city assembly of 25 elected members. The current mayor is Masami Ishikawa, an independent, for the Metropolitan Assembly, Chiyoda forms a single-member electoral district. In the 2013 election, no Democrat contested the seat and Uchida won back the district against a Communist, the Tokyo Fire Department has its headquarters in Ōtemachi in Chiyoda. For the national House of Representatives, together with Minato and Shinjuku, the district is currently represented by Liberal Democrat Miki Yamada. The Toei Shinjuku Line is a rapid transit line in Tokyo and Chiba Prefecture, operated by Tokyo Metropolitan Bureau of Transportation. The line runs between Motoyawata Station in Ichikawa, Chiba in the east and Shinjuku Station in the west, on maps and signboards, the line is shown in leaf. Stations carry the letter S followed by a two-digit number, the line was planned as Line 10 according to reports of a committee of the former Ministry of Transportation, thus the rarely used official name of the line is the Number 10 Shinjuku Line. Express trains stop at stations marked with a circle, while local trains make all stops, express trains run between Motoyawata Station and Hashimoto Station on the Keiō Sagamihara Line via the Keio Main Line and Keio New Line. On weekends and holidays, two run through to Takaosan-guchi Station on the Keiō Takao Line and one runs through to Tama-Dōbutsukōen Station on the Keiō Dōbutsuen Line. The Toei Shinjuku Line is served by the types of 8-car EMUs. 10-300 series 10-300R series 10-000 series 9030 series 6030 series December 21,1978, march 16,1980, Shinjuku – Iwamotochō section opens, through service onto Keiō lines begins. Aikido is a modern Japanese martial art developed by Morihei Ueshiba as a synthesis of his martial studies and religious beliefs. Aikido is often translated as the way of unifying life energy or as the way of harmonious spirit, Ueshibas goal was to create an art that practitioners could use to defend themselves while protecting their attacker from injury. 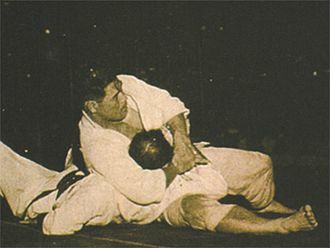 Aikido techniques consist of entering and turning movements that redirect the momentum of an attack. 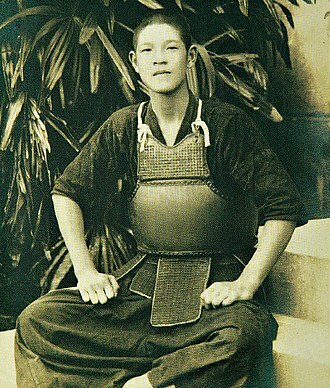 Aikido derives mainly from the art of Daitō-ryū Aiki-jūjutsu, but began to diverge from it in the late 1920s. Ueshibas early students documents bear the term aiki-jūjutsu, Ueshibas senior students have different approaches to aikido, depending partly on when they studied with him. 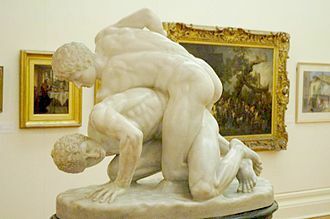 Today aikido is found all over the world in a number of styles, with ranges of interpretation. 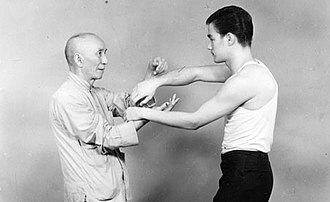 However, they all share techniques formulated by Ueshiba and most have concern for the well-being of the attacker and this has led to many possible interpretations of the word. 合 is mainly used in compounds to mean combine, join together, examples being 合同, 合成, 結合, 連合, 統合, and 合意. 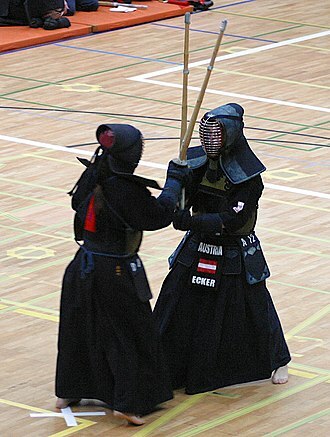 The term dō is found in martial arts such as judo and kendo, one applies aiki by understanding the rhythm and intent of the attacker to find the optimal position and timing to apply a counter-technique. Aikido was created by Morihei Ueshiba, referred to by some aikido practitioners as Ōsensei, the term aikido was coined in the twentieth century. 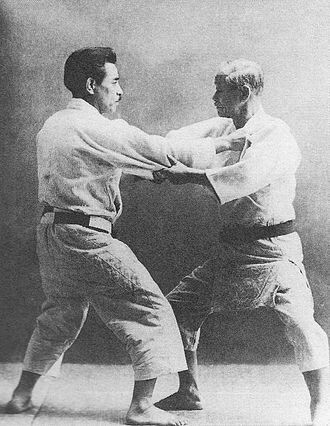 Ueshiba envisioned aikido not only as the synthesis of his martial training, during Ueshibas lifetime and continuing today, aikido has evolved from the Aiki that Ueshiba studied into a variety of expressions by martial artists throughout the world. 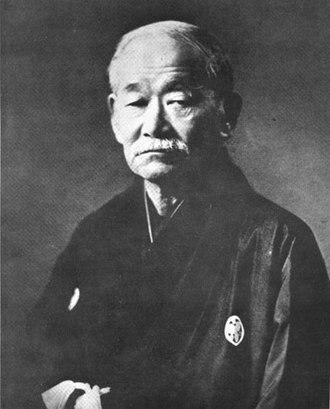 Ueshiba developed aikido primarily during the late 1920s through the 1930s through the synthesis of the martial arts that he had studied. 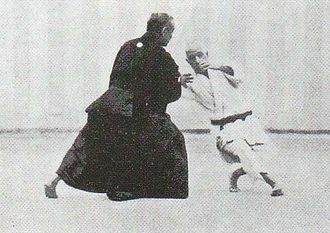 The core martial art from which aikido derives is Daitō-ryū aiki-jūjutsu, which Ueshiba studied directly with Takeda Sōkaku, the art of Daitō-ryū is the primary technical influence on aikido. 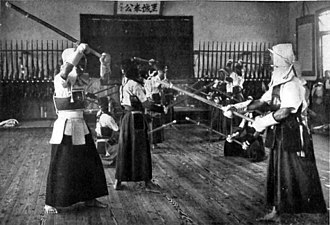 Along with empty-handed throwing and joint-locking techniques, Ueshiba incorporated training movements with weapons, such as those for the spear, short staff, aikido derives much of its technical structure from the art of swordsmanship. Vocalist Robin Zander performing at Gulfstream Park in 2006. Guitarist Rick Nielsen performing at Gulfstream Park in 2006. Closer look of wooden carving in Buddhist Monuments in the Hōryū-ji Area. Billy Sheehan and Eric Martin performing in 2016. Misawa along with Go Shiozaki (right) in May 2009. Ali and Inoki at a press conference prior to the event.